Two of Dundee’s top amateur footballers will be swapping Tayside for Thailand to represent Scotland at the Seniors World Cup. Dundee United have made a stunning return to Europe – thanks to a group of Subbuteo fanatics. Each week, BwB gives a sample from the Readers’ Queries file in the old Sporting Post. A joint UK and Ireland bid to host the football World Cup would help strengthen relations across the Irish Sea post-Brexit, the Prime Minister has said. 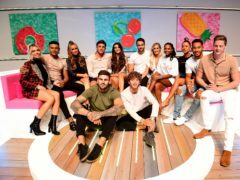 Love Island has been hailed a “stand-out success” by ITV as the broadcaster reported its highest share of viewing for its range of channels in more than 10 years. An iconic Scotland football star is set to check himself into a Dundee hotel.